A ton of apps are available on Play Store and most of them are offered as a free download. It’s no secret that we often tend to download various apps on our Android device without wondering their use case. Then over a period of time, such apps tend to occupy a considerable amount of space on our smartphone. This can also result in slowdown and hence it’s best to get rid of such unused apps. Though you can easily remove unwanted applications from your Android device. However, if there are numerous apps accumulated overtime that you wish to remove then it could be a tedious job. That’s because you can uninstall or delete only one app at a time on Android. Though there are certain third-party apps available that let you bulk uninstall multiple apps at once. Additionally, there are few custom UIs like Asus’ ZenUI and Samsung’s TouchWiz UI that integrate an option to batch uninstall apps. 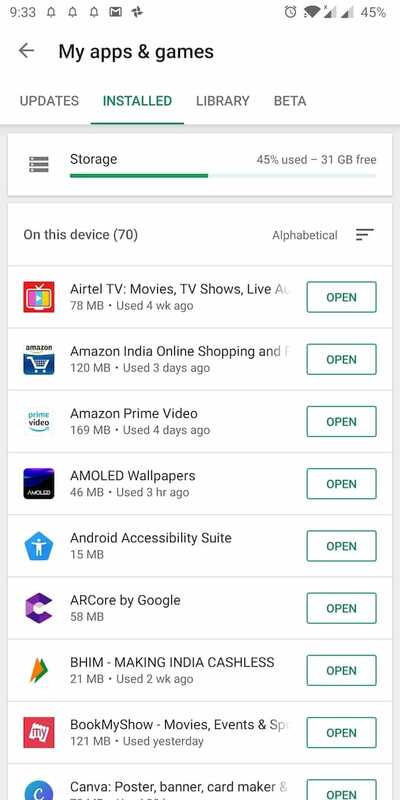 To our surprise, Google has recently added a new storage management option in play store. This new feature shows used storage space and remaining space as well. 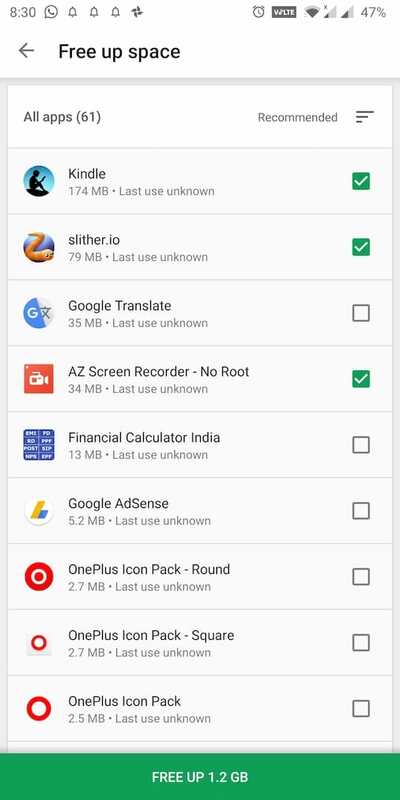 That’s not all, it also lists all the user-installed apps on the device along with their size. 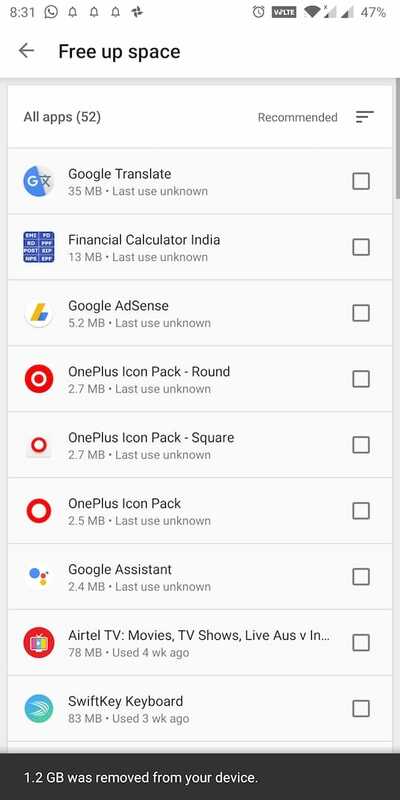 By default, the listed apps are sorted on basis of their usage such that the least used apps are shown at the top. Moreover, users can sort the apps by size, data usage or alphabetically. One noteworthy thing is that you can select multiple apps and uninstall them in one go. 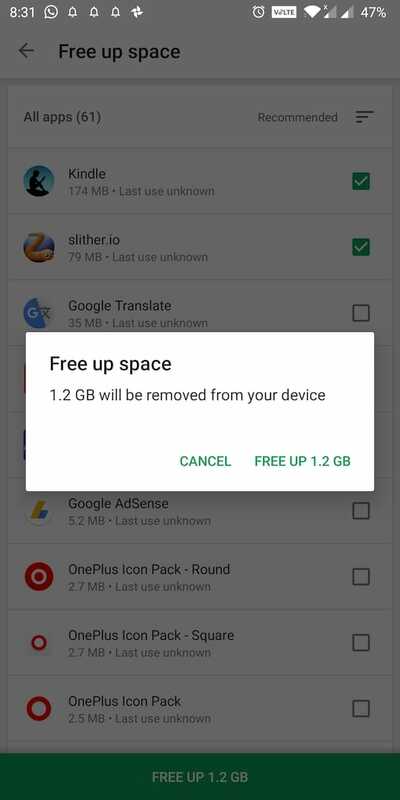 This way you can free up space quickly rather than manually uninstalling every app. Make sure you’re running the latest version of Google Play Store. Open Google Play and tap on the hamburger menu at the top left. Tap on “My apps and games” and head over to “Installed” tab. Here you will notice a new “Storage” option. Open it. Tick mark all the apps you want to remove and tap “Free up” button at the bottom. Play store will now show a confirmation box. Hit free up again. That’s it! All the apps selected by you will be instantly removed from your device.